Rare Earth indeed. Kirkwood's disc golf course "Disc Wood" is a sight to behold. Stunning views, challenging play, and a unique layout make Disc Wood a favorite for many players in the area. Ten years ago, Kirkwood introduced Disc Wood to the world. 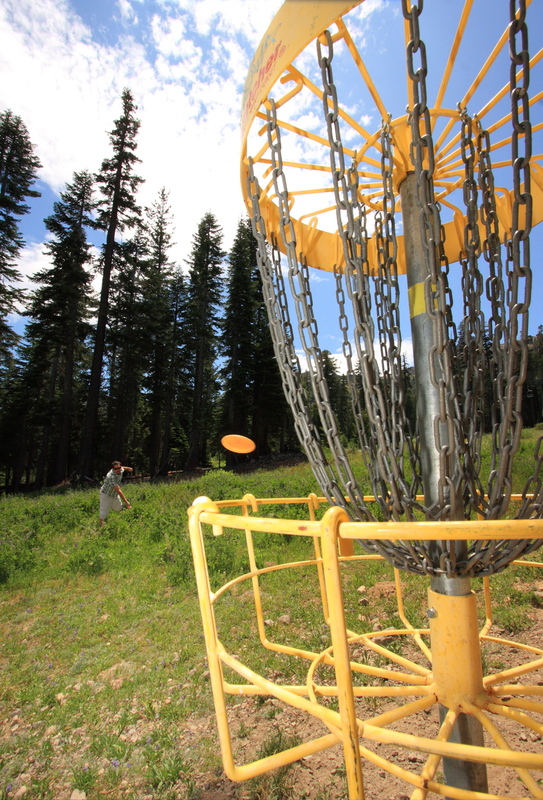 Now, a mere decade later, the course has undergone some incredible improvements and is a testament to the raw beauty and challenge of playing disc golf in the South Lake Tahoe area. With elevation changes prominent with just about every hole, and tee boxes that give you the impression of throwing off a cliff, Kirkwood’s summertime baby is about as much bang as you can get for your buck. And that buck is only used for the gas money! The course is steep, with some rough terrain, but to be able to play 18 holes atop the Sierra Nevada Mountains is worth the trek. Control on the drive (as it is with most courses) is imperative. There’s no mercy for a blatantly errant shot. Disc Wood rewards those able to get within fifty feet on their mid-range approach, and clears many a window to putt through during short game attempts. For more information on Disc Wood or Kirkwood please visit www.Kirkwood.com.